Power: 30 to 40 H.P. We are offering a wide range Fat Extracting Machine to our reliable customers. These products are well appreciated for their effective price range. Further, these products are manufactured under strict supervision of our experts by using modern machines. 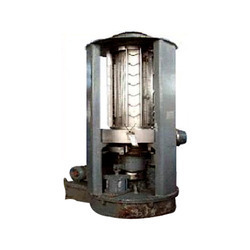 - Inner Drum: Revolving perforated drum made out of S.S.
- This machine is used for extraction of vegetable seeds such as Tomato, Brinjal, Chilly, water melon, Squash, Squash melon and Cucumber seeds etc. - User friendly machine with very low maintenance cost. We are a leading manufacturer, exporter, supplier and wholesaler of Motorized Roller Bearing Extractor in Mumbai, India. 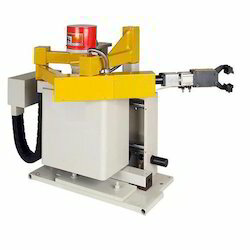 We are engaged in exporting a wide array of oil Extracting Machines for castor to the patrons. These machines are manufactured and supplied under the strict vigilance of our professionals. Our professionals ensure that these machines and spare parts are manufactured in compliance with the preset industrial norms & standards. These can be easily availed by the clients at affordable prices. Removes fibres without any effect on quality of tea. Available in size 30", 36", 48" and 54" with 4 rollers and 6 rollers. Capacity 250 to 600 kgs/hr. Start highly profitable business of extracting pure Silver from easily available waste solution (known as fixer) of X-ray Clinics, Photo labs, Off-set processors, Block makers, Industrial X-ray department etc. using fully automatic machine, based on today's latest technology.